In the 1970s, when VW’s Golf opened the floodgates to compact hatches as mainstream family transportation, Fiat decided to jump on board too. 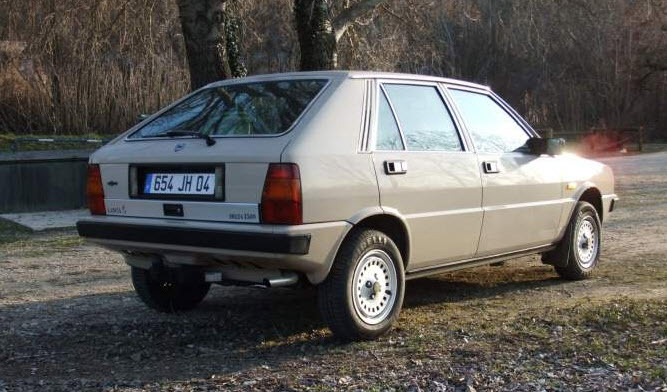 Four years after the Golf came out, Fiat debuted the Ritmo, and the following year, the Lancia Delta came out. And it’s no surprise the Delta shared some styling cues with the first-generation Golf, as they were both designed by Giugiaro. Interestingly, the car was recognized for its contemporary styling at its debut, and received the 1980 European Car of the Year award. Many enthusiasts are familiar with the HF Integrale version of the Delta, but it’s worth looking at the car’s roots, since with a bit of hindsight, the basic, unspoilered design is quite appealing. 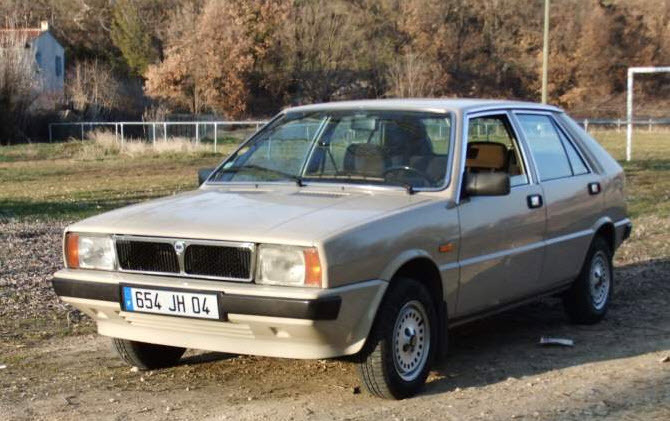 You can find this 1983 Lancia Delta 1500 for sale for €2990 ($4138 today) in Ansouis, France. After years of looking at and drooling over the bespoilered, big-wheeled, awesome Integrale, it’s fun to look at what these used to be. Even the holes in the phone-dial alloys are square, in line with the overall folded paper style of this car. The body condition looks exceptional, and while flesh-toned paint doesn’t work on most cars, it’s not bad at all here. It’s said to have been in the same family since new, and has had a full service. This includes attention to the filters, ignition system, exhaust system, clutch, and four new tires. According to the seller, the catch-up maintenance means the car is ready to drive. Said to only have 86,500km, the 1.5-liter engine should still be able to get to 60 in 12.5 seconds with its 84hp. It’s said to have passed the technical inspection, and even comes with a 3-month warranty that covers parts and labor. If the car is as good as it looks, though, you won’t have any use for it. 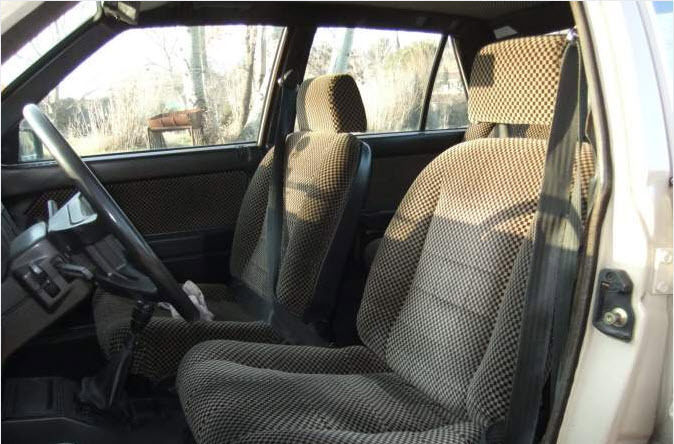 You might want to check your health insurance, though, because this interior could cause a seizure. It’s cool in the same way the pascha-patterned Porsche seats are, and helps make up for the bland exterior color, but this is a rare occasion where seat covers might be the way to go if you plan on driving the car for any great amount of time. One would think that if a square steering wheel would have been feasible, they would have done it. 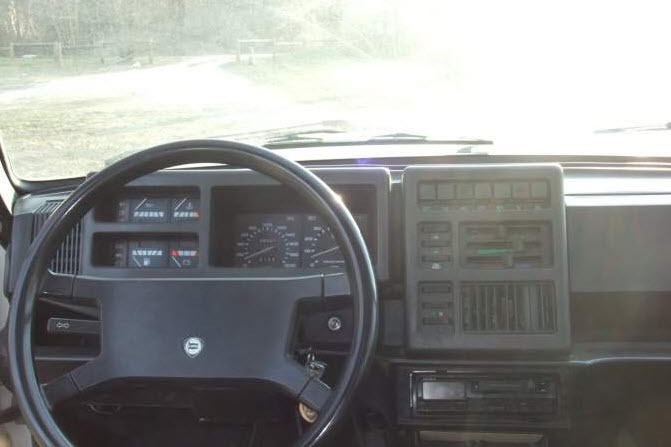 With square modules for the gauges, HVAC controls, and radio, the only question is, why are the speedo/tach and ignition switch still round? Perhaps it’s the angle of the photo, but it seems like there’s some crazy ergonomics going on here, with the speedomter, temperature gauge, and ammeter visible through the center of the steering wheel. Lancia fans, does this tickle your fancy in the way that, say, the Fulvia 1.2 is appealing for its basic purity? This entry was posted on April 25, 2014 at 1:08 pm and is filed under Feature. You can follow any responses to this entry through the RSS 2.0 feed. You can leave a response, or trackback from your own site. that’s a handsome lil’ car.